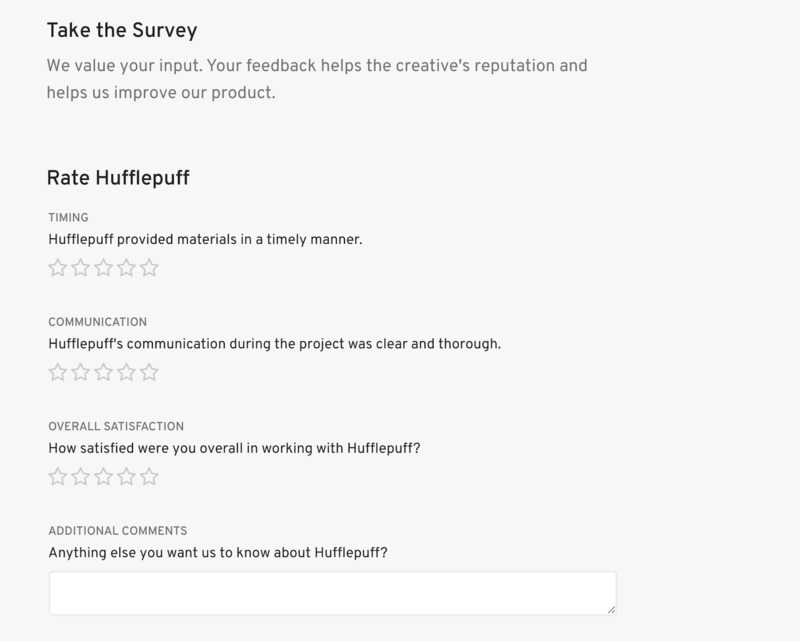 Surveys are the final feedback you'll receive from your winning creative or client after your wrap up is completed. Clients score creatives and vice versa. There are 3 categories: Timing, Communication, and Overall Satisfaction. Each is scored on a scale of one to five stars. If you're a creative, the scores you receive in reviews are factored into your reputation score. 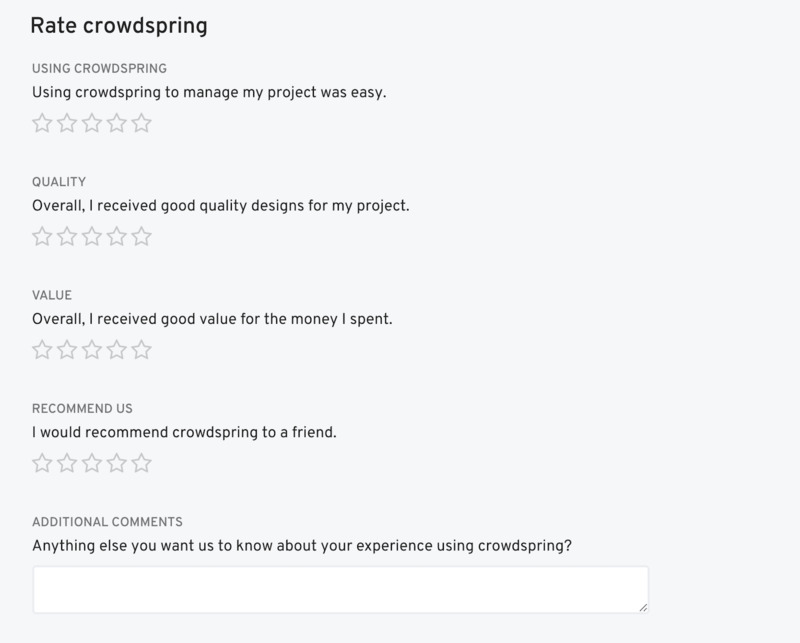 We also ask the client and creative to rate their experience on crowdspring. This helps us to learn, grow and improve our service.